Time magazine reports that the state of waking up in the morning is so stressful for our bodies that "many heart attacks occur between 6am and 8am." Just in case your mornings aren't stressful enough, you can now wake up to a bomb threat. Introducing DANGER BOMB CLOCK, the clock that wakes you up with the sound of an explosion, and features three wires that must be connected in the right sequence to stop the alarm. The sequence is set randomly every morning. 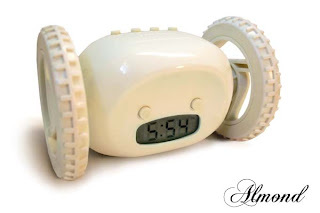 Preorders are now being taken for this clock, which will ship on March 17. I recommend investing in the pharmaceutical industry right before it ships. My iTunes has trouble recognizing my iPod, and this has been going on for quite a while. There's no pattern to when it will recognize it and when it won't. I've read all the articles on apple.com, and I've tried troubleshooting my own way, which involves restarting iTunes and unplugging the iPod. You know what this is equivalent to? This is equivalent to a mother not recognizing its child!